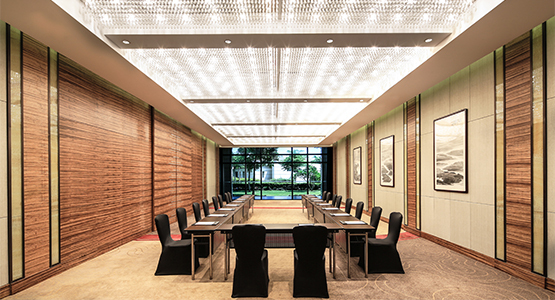 Make an impression by hosting your next business meeting at MGM Grand Sanya and amaze your peers with an event that is consummately professional – yet refreshingly different. From small gatherings to large conventions, MGM Grand Sanya provides the impeccable service you demand to make your event flawless. Any part of the resort you choose can become the backdrop to your meeting. From lush gardens and spacious banquet rooms to dazzling restaurants and lounges - all the luxury and beauty of the resort is available to make your event as imaginative as it is impactful. 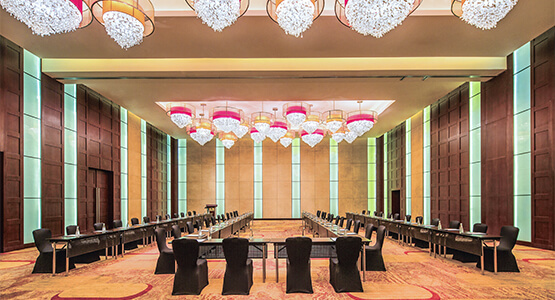 338 square meters pillar-less Commander Room with 5.5 celling height which next by the main ballroom, a best choice for official meetings, VIP reception room, press conference or main hall preparation room. 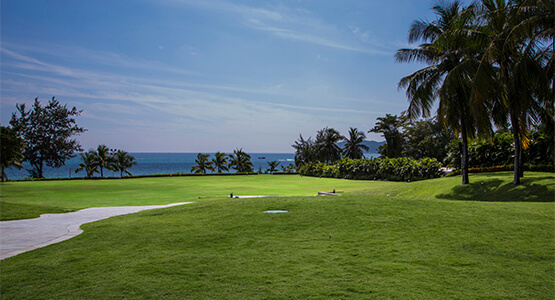 Over 2,000 square meters ocean-front lawn capable for wedding, concert, team building, or parties. It can content over 1,000 people in banquet round at one time. It is a priority choice to hold an exciting event with ocean view. 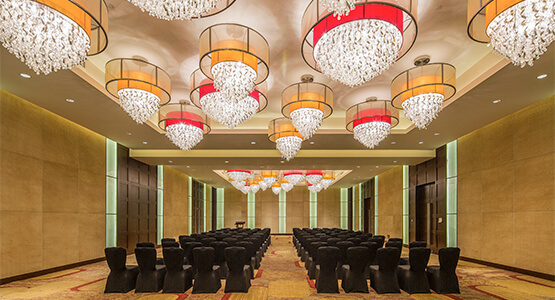 374 square meters pillar-less Admiral Room is able to cater over 300 people in theater style, 200 people on banquet rounds, and also flexible on hallow square, U-shape, conference style set up.